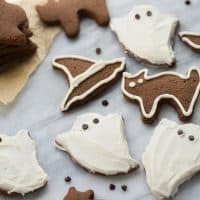 Chocolate Almond Flour Sugar Cookies! Soft in the middle, crisp on the edges. Easy to make and so fun to decorate! One of the most popular recipes on my blog for a few years now has been my Almond Flour Sugar Cookies. They are my go-to for Christmas cut-outs, heart cookies on Valentine’s Day and any time I want a good sugar cookie. 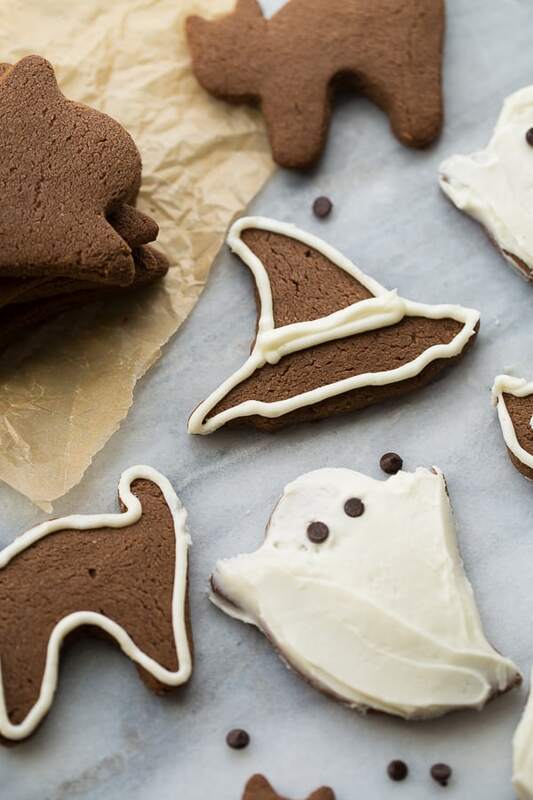 I thought it would be fun to make a chocolate version for Halloween to make ghost cookies, cats and witches brooms! They turned out just as delicious as the original with a chocolatey twist. 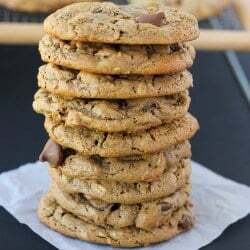 These cookies are soft and chewy without being doughy and have such a delicious flavor. Almond flour is so good in cookies! 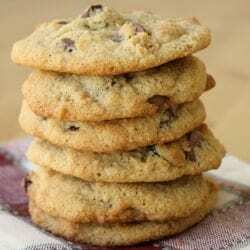 If you’re in doubt try these tried-and-true Almond Flour Chocolate Chip Cookies. I like to use Honeyville Blanched Almond Flour for my almond flour cookies. I like the texture I get when I use this brand. Also don’t be tempted to substitute more almond flour for the coconut flour. Coconut flour and almond flour are very different and the dough will be way too wet with all almond flour. To roll these cookies out, the dough needs to be chilled for an hour then rolled in between 2 sheets of parchment. Then cut out your shapes and slide the whole thing onto a baking sheet and place in the freezer for about 15 minutes before you try to get the shapes out. This trick works like a charm every time! Then bake, cool and frost. You can use any kind of frosting you like or just eat these as is. They taste so good they don’t even need frosting. 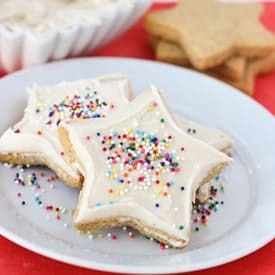 I’ve also purposely made these cookies to be lower in sugar than other sugar cookies. They are just sweet enough which is one of the reasons we love them! In the bowl of a stand mixer (or in a bowl with a hand mixer), place the butter, coconut oil, brown sugar, and cane sugar. Mix until creamed together, about 2 minutes. Add the eggs and vanilla and mix for 1 minute until smooth. Add the remaining ingredients and mix on low for 30 seconds until combined, then 1-2 minute more until totally smooth. Form into a ball then wrap in plastic wrap and shape into a disc. Refrigerate for at least 1 hour or up to overnight. Preheat the oven to 350F. Remove the dough from the fridge. Let sit at room temperature for 10 minutes if the dough has been in the fridge for longer than an hour. Roll the dough out in-between 2 sheets of parchment paper. Transfer the cut-outs to a lined baking sheet. Bake for 12-14 minutes, until set. Let cool on the pan for 3-4 minutes then transfer to a wire rack to continue cooling. Repeat with the remaining dough. Frost and eat as desired. Enjoy! MAKE IT DAIRY-FREE: Use Earth Balance Buttery Sticks or Palm Shortening in place of the butter. MAKE-IT PALEO/REFINED-SUGAR-FREE: Use coconut sugar in place of the brown sugar and cane sugar. 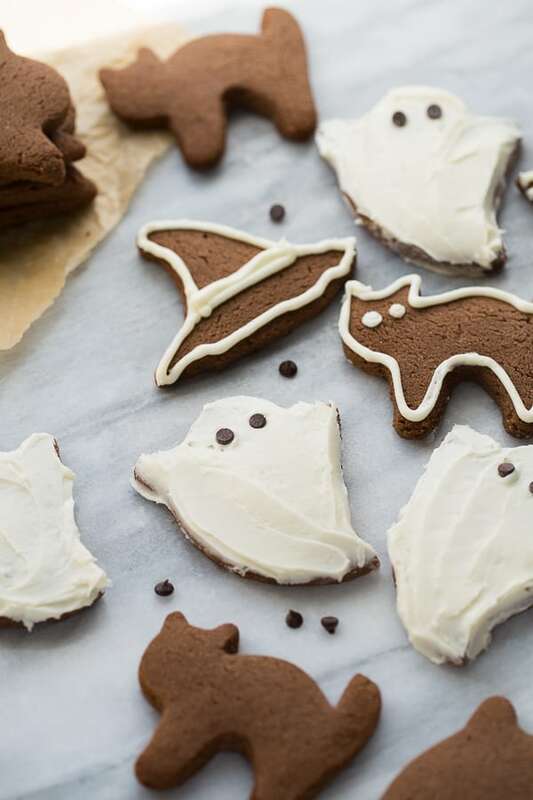 Halloween treat and party will be awesome and fun with these treats! Love how cute and simple these are!! Could I use palm shortening in place of butter for dairy free or maybe cacao butter?